In the perpetual whirl of modern city living, it’s easy to forget what was here before. When life finds itself locked in a continuous work-pub-home cycle, the hours spent in noisy, polluted transition often consumes all the time that could be spent in quiet and blissful nature. The gardens of the world’s metropolises may be as constructed as the buildings at their fringes, but their purpose in offering an escape from the constant urban chaos is utterly invaluable. Here are three unique gardens from around the world. 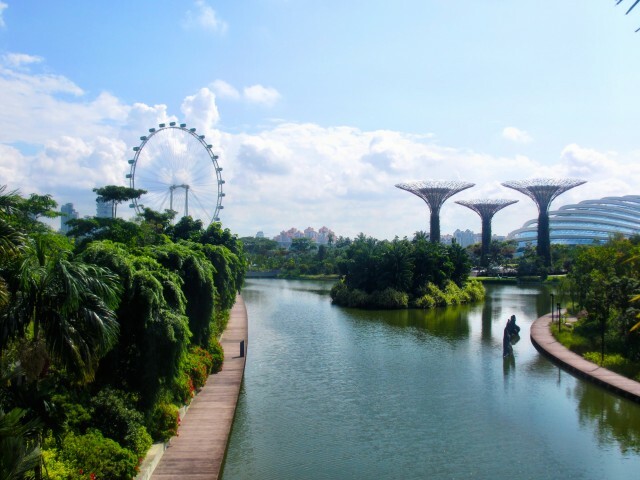 It’s not often you’ll find a garden that graces a city’s skyline, but Singapore’s Gardens by the Bay grows as much upwards as it does outwards. Of the many iconic landmarks you can find on a postcard image of Singapore, at least two will be the sky-scraping megastructures of Gardens by the Bay; ones that would be monolithic in isolation, but when featured in the country’s mise-en-scène, they’re another perfect example of Singapore’s commitment to marrying nature and innovative, architectural brilliance. None are more recognisable than the Supertree Grove: a collection of gigantic carbon fibre trees with wide trunks that fan out at canopy level. Their outstretching purple and green arms can be seen from all over the south of the city, and between these arms is a winding walkway that provides a perfect vantage point over the sprawling urban jungle and adjacent Singapore Strait. The grove becomes part of Singapore’s neon ballet every night when the trees light up to the sounds of classical and Disney music, joining the nightly light and water show at Marina Bay. The two world-record achieving domes on the other side of the park sit in relative silence amidst the daily extravagance of Singapore. The Cloud Forest and the Flower Dome may look like a couple of deflated armadillos from the outside, but respectively they house the world’s largest indoor waterfall and the world’s largest glass greenhouse. In and around them lies a microcosm of plant life from almost every climate on the planet; meticulously tempered to grow in a country that spares absolutely no expense. A large system of mud and aquatic weeds would not have been much of a tourist attraction in the past, but since these building blocks were laid by the Aztecs in modern-day Mexico, they have grown into a series of huge fertile islands in Xochimilco on the southern edge of Mexico City. As their ancient creators did in the 10th century, visitors glide between the various floating gardens (chinampas) on elaborately decorated gondolas (trajineras). The fact that Xochimilco translates to ‘flower field’ in Nahuatl and was at one point the capital of the Aztec Empire suggests that its historical significance alone is enough of a cause for preservation. 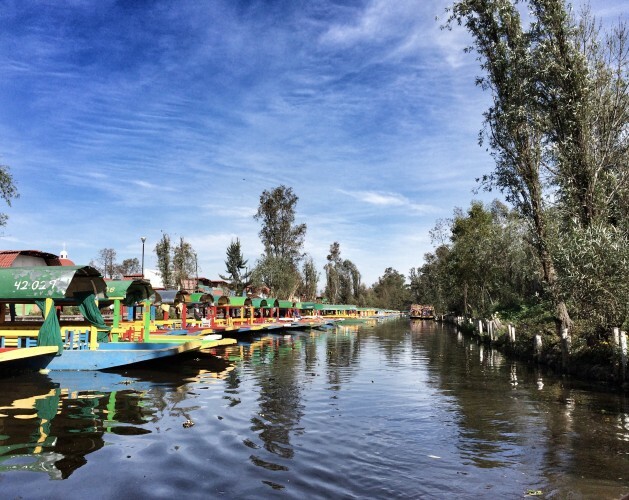 Preservation has indeed been the primary concern of Xochimilco authorities, who have seen the aquatic gardens fall prey to Mexico City’s increasing urbanisation; the rise of houses and business buildings have only served to worsen the water’s pollution levels. Concentrated efforts to save the remaining gardens are now in place, focusing mainly on the planting of juniper trees that have been desecrated by the most charming of parasitic plants, the mistletoe. These problems do little to phase the relaxed Mexican mind-set. The waterways between gardens remain in a state of constant fiesta, with mariachi bands and ‘street’ food vendors skimming alongside visitors on the most colourful trajineras, eager to gloss over the issues of some of the most unique gardens in the world. The deep, brilliant blue that catches the eye of visitors to Marrakech actually has its own name. ‘Majorelle Blue’ is named for its inventor, Jacques Majorelle, who used it to bring intensity to his twelve-acre garden in the centre of the capital. Though originally meant as a private paradise, spiralling costs of maintaining such an extensive collection of world flora forced Majorelle to open up Jardin Majorelle to the public, and it remains one of Marrakech’s top attractions almost 70 years on. Majorelle was a painter by trade and his endeavours to create a living work of art were realised in his garden. The striking blue that runs throughout the facade of Majorelle’s studio, on the gates surrounding it, and on steps, pillars and pergolas all combines with the other painted and natural colours to bring a distinct vividness to the garden. As he did with countless paintings beforehand, Majorelle played with light and shadow to display every species in its most dramatic way. 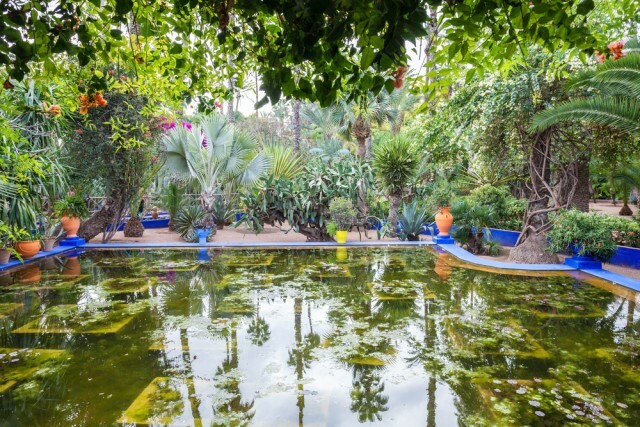 The collection, featuring mainly exotic African plants, came under the curatorship of fashion designer Yves Saint Laurent following Majorelle’s death and he, along with Pierre Bergé, very narrowly saved the dilapidated garden from demolition in 1980. The pair modernised the garden with irrigation systems and more than doubled the plant life within its walls. Yves Saint Laurent was completely infatuated with the garden and in 2008, his ashes were spread amongst its soil. Headwater’s Sahara and High Atlas walking holiday gives you the opportunity to explore Marrakech and Jacques Majorelle’s artistic urban paradise. Meander between palms, cacti and lilies at your leisure, knowing that Morocco’s mystic charms extend far beyond the cobalt-blue walls.